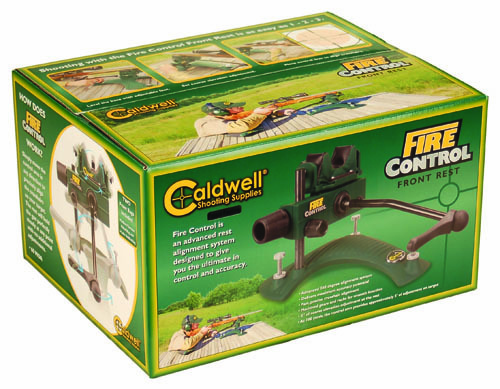 Caldwell’s® team of engineers has developed a series of rifle rests that incorporate their new “Fire Control®” mechanism. 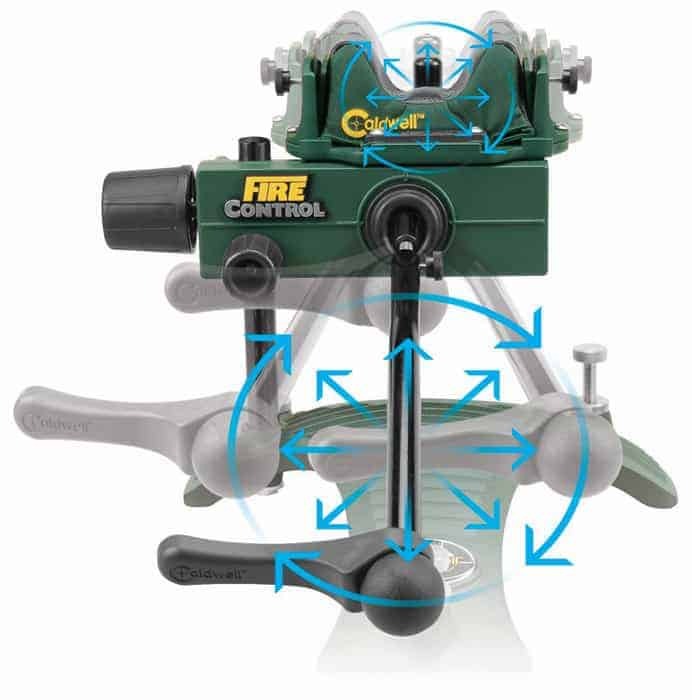 “Fire Control®” is an advanced alignment system that allows the shooter continual, one-hand adjustment of downrange crosshair alignment via a multi-directional control arm. 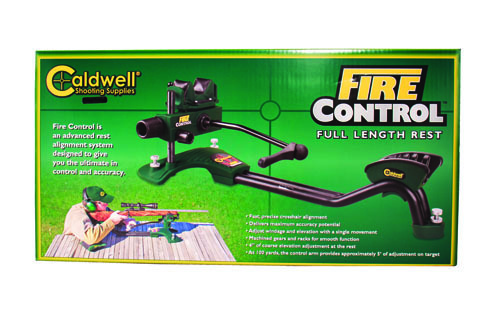 The Fire Control® mechanism allows continuous adjustment of the front forend support by manipulating the control arm with your fingertips. Once the coarse adjustments have been made to position the rest, the control arm allows fluid movement for precise crosshair alignment without having to change shooting position to loosen or tighten rest components. 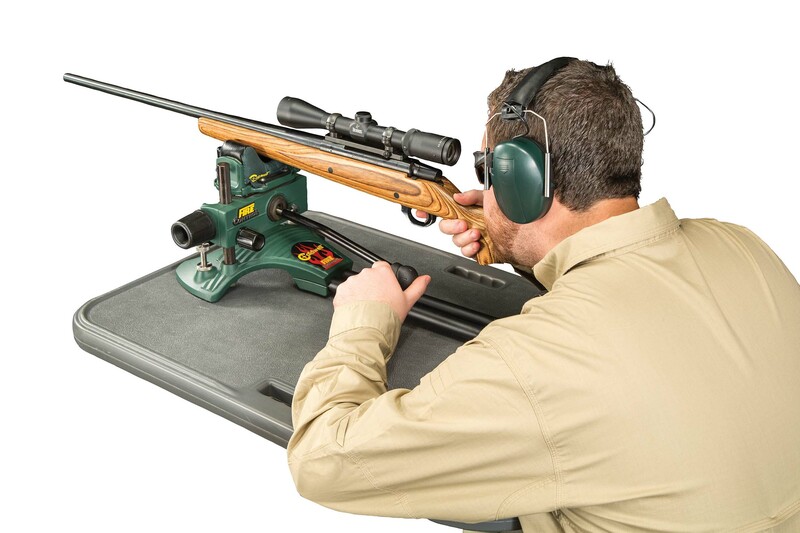 The end result is unmatched control of crosshair alignment in a rock solid shooting platform which delivers better accuracy than any existing rest. Another inherent benefit to the Fire Control rests is ease and speed of realignment after recoil. 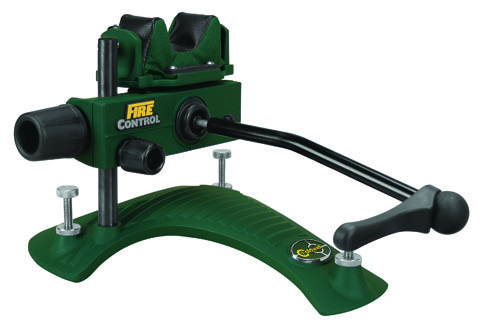 No more moving the entire rest back into position or loosening knobs and turning screws to realign. 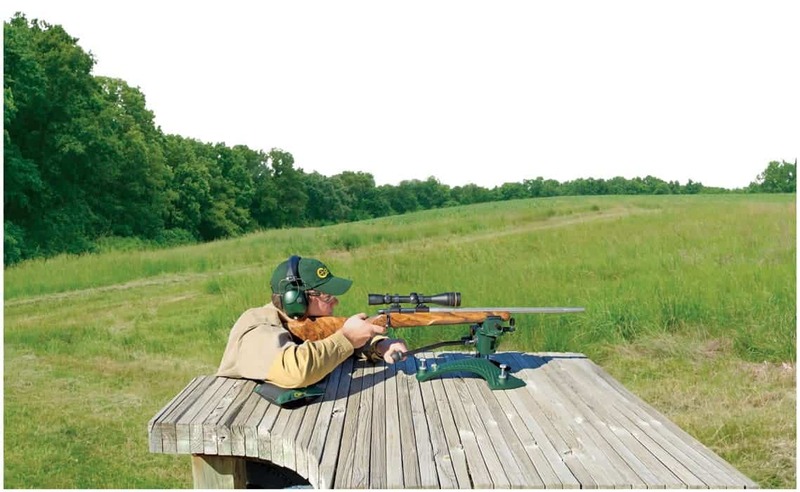 With up to 60″ of windage and elevation adjustment at 100 yards, getting back on target instantly after recoil from a previous shot is at your fingertips via the control arm. 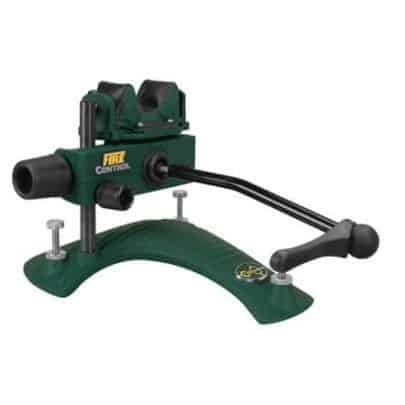 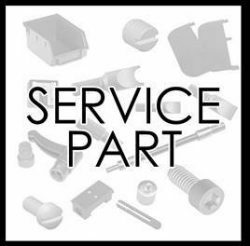 The coarse elevation provides approximately 4″ inches of adjustment at the rest. 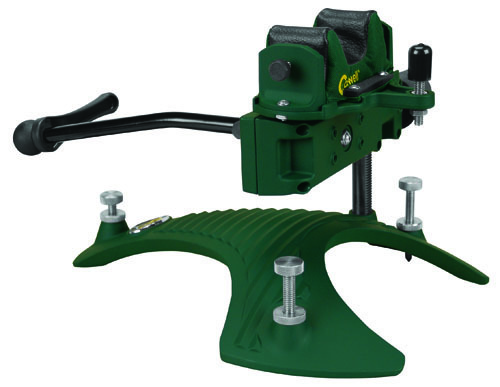 Adjustable tension of the control arm allows for customized resistance pressure via four nylon tipped set screws.